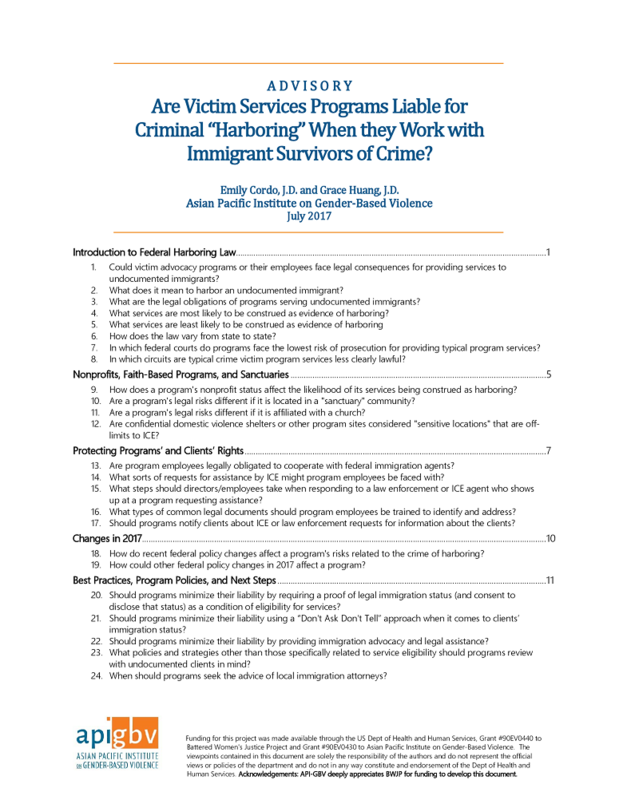 Community-based crime victim advocacy programs that provide services to undocumented immigrant survivors of crimes can minimize risks to their program, funding, employees, and clients by adopting and following policies that take the laws on harboring undocumented immigrants into account. This Advisory answers common questions about providing shelter and other program services to undocumented victims, describes the law and federal policy (as of the Advisory’s publication date), and proposes best practices for programs, but it is not legal advice. Immigration and criminal laws vary from region to region, and federal immigration enforcement policies are constantly changing. Programs should analyze their program-specific risks, their community’s particular needs, and the laws in their jurisdiction—including legal duties associated with an agency’s funding sources—as they design or update program policies. Consulting a local immigration attorney with criminal law experience is highly advisable. These FAQs address common questions about responding to immigration enforcement activities at victim services programs. Advisory Revised Oct 2018: How Will ‘Public Charge’ Proposed Policy Changes Impact Immigrant Survivors of Domestic Violence and Sexual Assault? The Department of Homeland Security (DHS) is planning to propose regulations that discard longstanding policy about the meaning and application of the “public charge” provisions of immigration law. Proposed policies will have a significant detrimental impact on survivors of domestic violence and sexual assault by deterring immigrant families, including those with U.S.-citizen children, from seeking help when they need it. 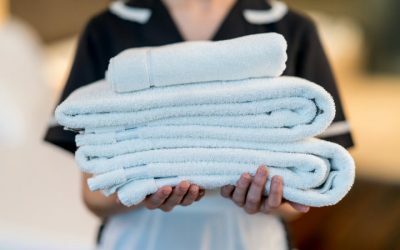 Safety net benefits can help victims recover and escape from abuse and play a significant role in preventing future harm. We need policies that ensure that all workers, whether they are employees or contractors, have access to safety and justice in the workplace. We must strengthen our resolve to make sure that our community response to domestic violence is truly relevant to all survivors. This factsheet provides basic information on U.S. immigration law and various immigration remedies available to victims of domestic violence and/or certain other crimes. Why increased entanglement between immigration and state/local law enforcement would undermine protections for immigrant survivors of domestic violence and sexual assault.